It is fairly easy to find lessons in guitar or singing and Elaine is more than happy to teach beginner level guitar (on the understanding she is self taught and does not provide teaching for grade exams). 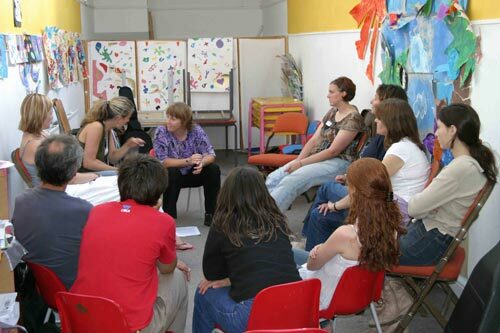 Elaine has been a singing facilitator with "Thula Mama Richmond" following the teaching philosophy of the Natural Voice Practitioners Network and can help with choir teaching and individual singing. 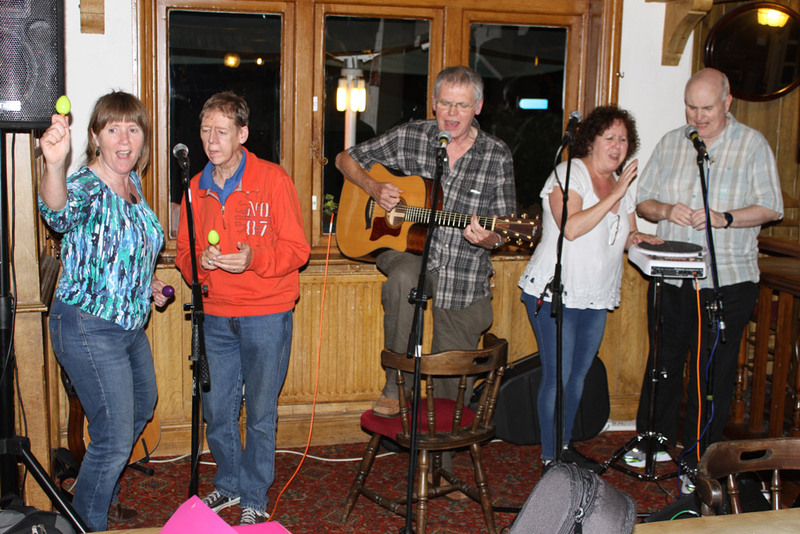 Elaine is also experienced in the (less easy to find lessons for) skills of performing and songwriting; both from years of performing her own songs as well as teaching these skills at festivals and for special courses in the past. The most recent Songwriting Workshop was in January 2015. She was also commissioned to write a special series of articles about the secrets of songwriting for a music magazine (read more in the "Experience" section below) and she has developed a way of unlocking the creativity flow in people and showing them how to craft that flow into a beautiful work of art. 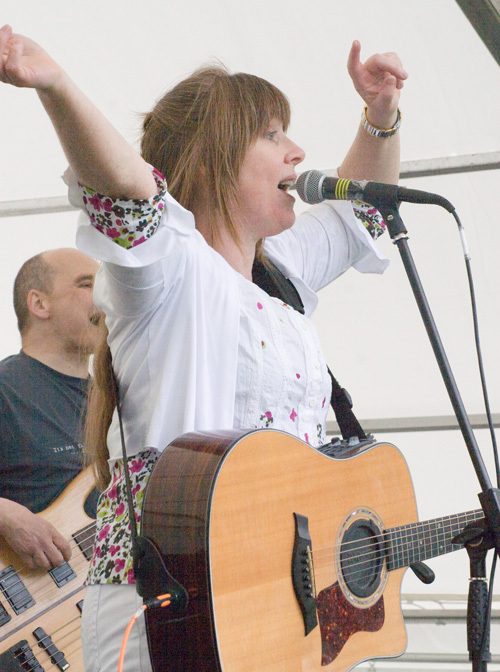 Elaine's songs, and the way she puts them across, directly resulted in getting her booked to play at Glastonbury Festival and being featured on HTV. (Hear the song, which drew attention to her). She wants to draw on all of this knowledge and experience and offer some unique lessons. 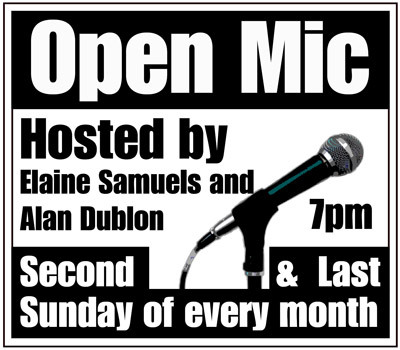 To see Elaine's performance experience, have a look at her track record. - Came second in a televised original song contest at Leicesters Y Theatre. 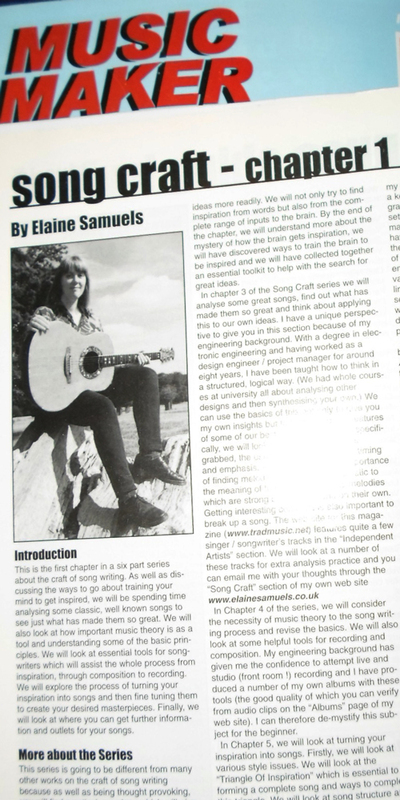 Elaine was commissioned to write a six-part series of articles (see the picture, right) especially for Music Maker Magazine in 2005 called "Song Craft", dealing with song-writing right from how to get ideas, how to train your mind, how to turn your inspiration into songs and then fine-tune them into masterpieces. Scout Leader Training - Elaine achieved the highest training award, the "Wood Badge", which involved several years of residential courses and training in both practical skills as well as learning how to cope with engaging and teaching groups of young people. She followed through with being an Assistant Scout Leader for around five years. Canoe Instructor Training - Elaine undertook classes, practical training and expeditions for several years which enabled her to augment her Scouting work with young people and examine them for canoe awards at "Water Activities Camps", which she helped to organise and run. Elaine has attended song-writing workshops organised by ASCAP the American Society for Composers, Authors and Publishers, at their London HQ, as part of her work on the core team of Girls With Guitars, where she performed a regular monthly showcase at the Porterhouse, Covent Garden (June 2004 - December 2005). 4. How to fine tune a song to make it great. Elaine sent a demo tape to a contact connected with Glastonbury Festivals and it was the first song on that demo tape, "Blue Skies", which captured both the interest of the contact and HTV. 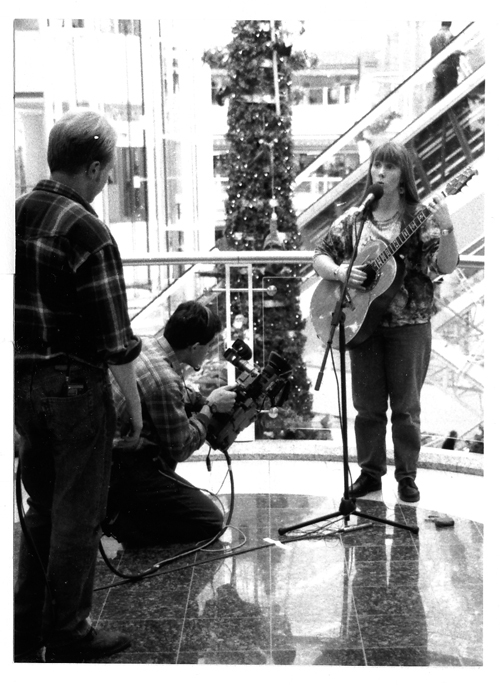 You can here the demo tape version of the song and see Elaine performing it as filmed by the camera crew for HTV below. - amplifiers and mics for work on performing with a mic.